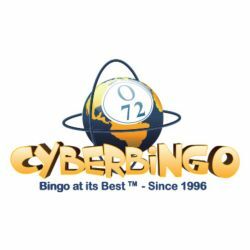 St Patrick’s Day on Sunday, March 17th is filled with bingo fun and excitement as CyberBingo brings you an incredible $3,000 of cash prizes to be won in this exciting Saint Patricks Guaranteed Golden Bingo Pots. The St Patrick’s Day Bingo fun starts at 7:00PM EDT in the Spring Bingo room on Sunday, March 17 EDT as you celebrate St Patrick’s Day playing the first of three exciting top of the hour St. Patrick’s Day Guaranteed Golden Pot games with a guaranteed cash prize of $1,000 to be won. With two more St. Patrick’s Day Guaranteed Golden Pot games playing at 8:00PM EDT and 9:00PM EDT, that’s an unmissable $3,000 of guaranteed cash prizes to be won, the perfect way to celebrate St Patrick’s day at CyberBingo. The St. Patrick’s Day Guaranteed Golden Pot games play for only $2 a card and guarantee a $1,000 cash prize every game. Join in the St Patrick’s Day celebrations and you’ll get more chances to win in our St. Patrick’s Day Guaranteed Golden Pot bingo games with a special card offer of Buy 3 Get 2 Free. Simply select 5 cards and you’ll only pay for 3! It’s Mardi Gras bingo time at BingoSpirit on Tuesday March 5th and that means amazing bingo fun with fabulous cash prizes to be won as you play the special Mardi Gras Bingo games. Mardi Gras is a tradition that dates back thousands of years and there’s no better way to celebrate than with your bingo roomies. Join in the bingo fun between 6:00PM EST and 9:00PM EST in the Spring Bingo room on Tuesday, March 5 EST and play for cash prizes of over $100 every game. That’s right, our special Mardi Gras bingo games have a crazy starting pot of $100 and there’s no limit to how high the prize can climb. Cards for the Mardi Gras crazy $100 starting pot games cost only $0.25 a card and the more players that play, the bigger the cash prize! It’s a Mardi Gras bingo party and you can win more at the top of the hour with our special Mardi Gras $300 guaranteed games. Playing at 6:00PM EST, 7:00PM EST and 8:00PM EST, there’s a fun filled $900 of guaranteed cash prizes to be won. Cards cost just $1 a card. Get more chances to be a winner in the special Mardi Gras games with an amazing Buy 3 Get 2 Free offer on all cards. Simply select 5 cards and only pay for 3 when you celebrate Mardi Gras at BingoSpirit! Hit bingo on the letter G in the Dollar, Game of Thrones, Nickels, Quarters, Desperate Housewives or Bingo Cafe rooms and you will be rewarded double BBs! But that’s not all – Gilda herself will visit the rooms to try to take you out on a Valentine’s Day date. Get triple BBs by typing “bye Gilda” to make her go away! Be lucky at cards and lucky in love in this Valentine’s Day special, where your heart will skip a beat at the prizes in the Instant Bingo latest bingo bonanza!